We are delighted to share this post from the African Game Lodge. 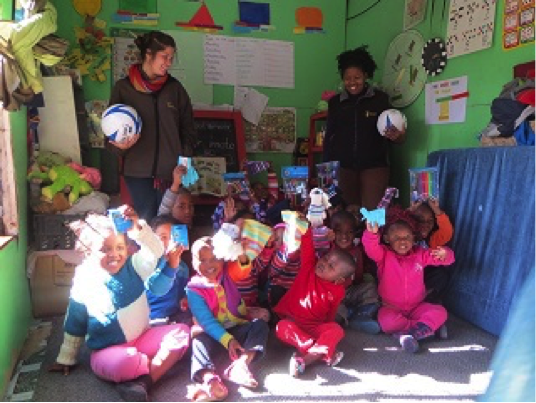 The children from Come To Learn Creche excitedly display their warm mittens, gloves and goodies received to ward off the cold. These desperately needed gifts were received from one of our guests staying at African Game Lodge who “packed for a purpose”. This little creche operating out a container, keeps the children safe whilst their parents go out to work in a desperately poor community.